Desigual Christmas sale at Angel Vancouver – 15 per cent off everything!!! Starting Sunday Dec. 9, we’re offering 15 per cent off our entire Desigual collection, including a new shipment that includes dozens of new men’s winter coats, sweaters, vests, shirts and T-shirts, plus lots of new women’s coats, jackets, tops, dresses, skirts, knitted hats, scarves, leggings, socks, shoes and boots. We also have Desigual computer bags and headphones for die-hard fans of the brand. Our Christmas sale is for one week only, so here’s your chance to buy Desigual for people who love colour and design. Angel Vancouver offers the largest selection of Desigual clothing in Vancouver. Our store is located at No. 2 Powell Street n Gastown, where Vancouver began. We’re on the corner of Powell and Carrall in Maple Tree Square. Special Offer: we’re offering 15 per cent off Desigual’s Cirque du Soleil collection, and have flyers offering a special discount for a family of four to attend one of Cirque’s Amaluna shows in Vancouver, B.C. This special offer on Cirque clothing/tickets lasts until Jan. 6, 2013. Desigual, based in Barcelona, means Not the Same. Below are Facebook photos of some of the people who already love Desigual. 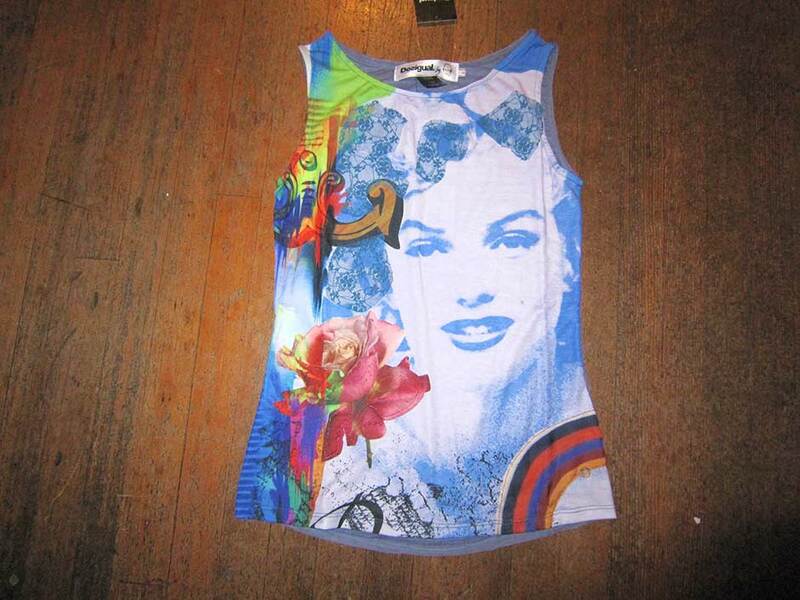 This entry was posted in Desigual and tagged Angel Handpainted clothing. Gastown, Desigual, Desigual Canada, Desigual for men, DEsigual for women, DEsigual in Vancouver B.C., Desigyal in B.C.. Bookmark the permalink.